Crockpot Garlic Lime Salsa Meatball Tacos are a simple, tasty, and fun way to feed a crowd when you're having friends over to watch the Big Game. By simmering the meatballs in zesty Pace® Medium Picante Sauce, you can really kick up the flavor of this easy, crowd-pleasing dish. I love using slow cookers for entertaining. They allow you to actually get out of the kitchen and enjoy your guests' company! And for something like a Sunday football party—when you might have people hanging out at your place all day long—a Crockpot keeps everything warm and handy. Just set up a taco bar with a variety of toppings and let your guests help themselves whenever they get hungry. Best of all, you can sit back, relax, and cheer for your favorite team! These distinctive, bite-sized meatballs are a fun twist on the usual taco meat. The beef is packed with savory garlic, lime zest, and crushed tortilla chips (instead of the typical breadcrumbs). 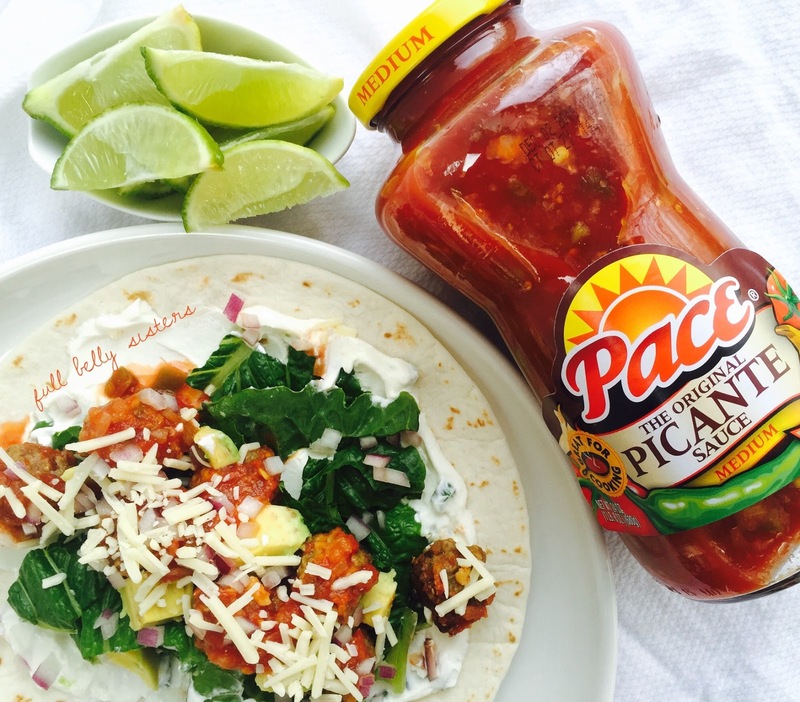 All these ingredients match wonderfully with the genuine southwest flavor of the Pace® Picante Sauce. Preheat the oven to 400 degrees. Line a large, rimmed baking sheet with aluminum foil. Grease your slow cooker with some extra virgin olive oil. In a large bowl, add the beef, egg, tortilla chip crumbs, garlic, lime zest, and a few good pinches of salt. 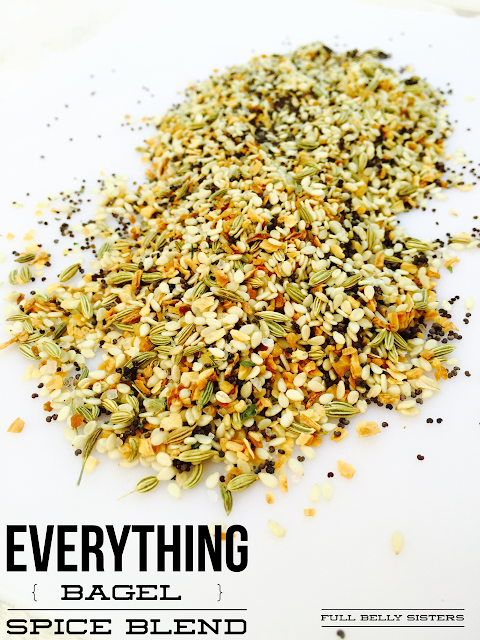 Mix to combine—but don't overwork the meat. Shape mixture into 1-inch (about teaspoon-sized) balls; I ended up with about 45 of these small meatballs. Place them on the baking sheet and bake for 8-10 minutes, until lightly browned. 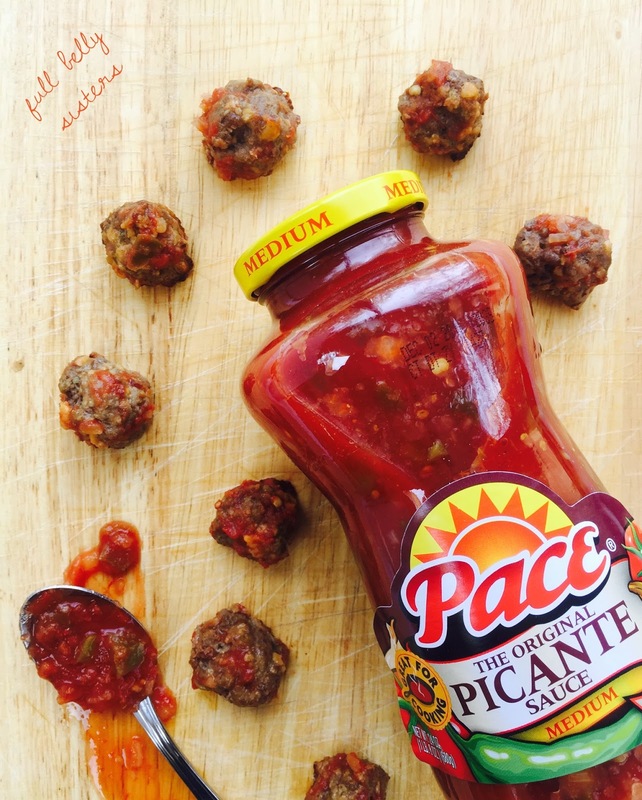 Pour some of the Pace® Picante Sauce into the bottom of your slow cooker—just enough to cover the bottom. Then add the meatballs and top with the rest of the jar of picante. Cook on low for three hours, until the meatballs are cooked all the way through and tender. What I love about these bite-sized meatballs is that you can simmer them hot during your football party, while you hang out with your guests. Or you can make them hours in advance and just keep them warm in the slow cooker. For my taco bar, I served warmed tortillas, chopped romaine lettuce, diced avocados, shredded sharp cheddar cheese, minced red onions, fresh lime wedges, and sour cream with chopped scallions. Make sure you squeeze some lime juice on the avocado so it doesn't brown! I also put out some hot Pace® Picante Sauce, for guests that want extra spicy tacos (I just love that this yummy sauce works great as both an ingredient and a condiment). Some other ideas you could offer at your taco bar: diced tomatoes, sliced olives, rice and beans, and chopped jalapenos. Just set out your family's favorite taco toppings and everyone will be happy! With its blended tomatoes and chunks of onions and jalapenos, Pace® Picante Sauce kicks up the flavor of these Crockpot Garlic Lime Salsa Meatball Tacos. Keeping a jar in your pantry means you always have a tasty and versatile ingredient at hand. I found the Pace® Picante Sauce in the Hispanic Foods aisle at my local Walmart. Best of all, you can find lots of great toppings for your taco bar there! Who doesn't love one-stop shopping? What are your family's favorite taco toppings? This post contains Amazon affiliate links, so I make a small commission if you purchase through my links—which helps to keep this blog running. Thanks for your support! Great looking idea for some delicious and flavorful tacos! We are going to try these this weekend! We love Pace. I modeled one of my salsa recipes after that flavor. It's so good. I love what your doing with it here! I never thought about adding it to meatballs! Excellent idea! If you love Pace you'll love these meatball tacos! Mmmm! Loving these little meatballs, what a fun way to enjoy some yummy tacos! yep, Mexican food is my favorite! I could eat it every day (and pretty much do!). These tacos are da bomb! I love everything about them. I think these meatballs would be fun to serve at my Easter dinner too (we do the traditional taco bar at Easter - everyone does that, right? hee hee ). But, seriously, I love your recipe! I never made tacos with meatballs but is sounds awesome. Thanks for this amazing recipe! Love the taco bar idea, and including meatballs. Looks like a crowd pleaser! Great idea, I would love to make these for the kids. I cannot wait to try this!!! My boys will go crazy for it. Will have to go get some Picante sauce and give it a go. Thanks for sharing. This is a terrific idea for Super Bowl. Do it yourself meatball tacos. Super fun! Meatball tacos??? WOW!! My kids will go crazy over these! I bet the pace Picante sauce gives them a really nice zing! What a creative and delicious lunch option! Mexican is my super favorite and the crockpot is my best friend �� thank you for this awesome recipe! I am a total sucker for Mexican and these tacos are right up my alley! My son would love them too! I am all over these, great idea!! Is the crockpot just for keeping them warm during a party? If I'm serving these for dinner, I can just do the bake, right? Oh my!! These are fantastic looking! I LOVE tacos and your recipe sounds just perfect!!! I need to try that salsa, haven't had that one yet!! I have never event thought of using meatballs in a taco! Brilliant! This is definitely up my alley...we love anything Mexican food here! I love Mexican and this such a great idea! Yummy! I always love your recipes and creativity! I love this idea! I have meatballs I made for an event leftover in the freezer! This is the perfect way to use them! Thanks for the inspiration! I love taco bars, great idea using slow cooker meatballs for tacos! Yum!